Ken put out five sparkly/grungy albums with the Posies from ’88 to ’98 (and three more recently), played in the live version of Big Star starting in ’93, played in the touring band for R.E.M., released several solo records and collaborations including two with a band called The Disciplines, toured as a singer for Marky Ramone, has acted as producer and engineer for many projects… he’s a busy guy. We discuss “The Sound of Clouds” by the Posies from Solid States (2016), “Shittalkers!” and “Jesus Was an Only Child” from his solo album Danzig in the Moonlight (2012), and “Turn My Back on the Sun” by Big Star from In Space (2005). 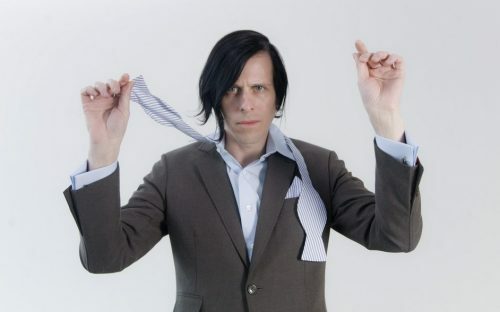 For more info, check out kenstringfellow.com. Here’s the entirety of “Solar Sister.” Here’s the Posies in their current trio lineup playing songs off of Solid States. Here’s Holly & Ken live. Here’s a post-Chilton cover of a Big Star song with Ken singing. If you’re not familiar with Big Star, start here and don’t stop until you’ve listened through all three albums. Here’s a Big Star performance with the Ken/Jon live band. You really need to listen to the first song (“Dony”) off of the In Space album, and also “Thing for You,” one of my favorite late ’80s (i.e., sober) solo tracks of Alex Chilton’s. Here’s another long interview with Ken where he goes more into Big Star and the Posies. And this starts a good series of videos that comprise an interview with Ken and Jon Auer about the genesis of the Posies and the relationship between the two songwriters. Read about and hear the song Mark wrote in reaction to this episode, featuring harmony vocals by Ken!